If someone were to describe a process that involves gathering facts, pointed questions of patients and ultimately using the results to make a determination, you’d say it sounds a lot like a diagnosis, right? And for healthcare marketers, a patient persona, in many ways, is just that, a type of diagnosis, and one that’s equally crucial in determining your own, best course of action going forward. 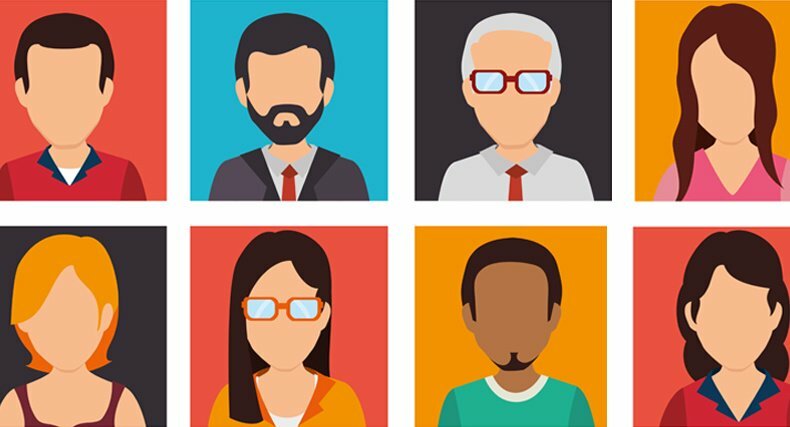 Patient personas, are being underutilized among healthcare marketers while many are still hard-pressed to fill content gaps, create and maintain a social media presence, and refine their (still new) digital marketing strategies. 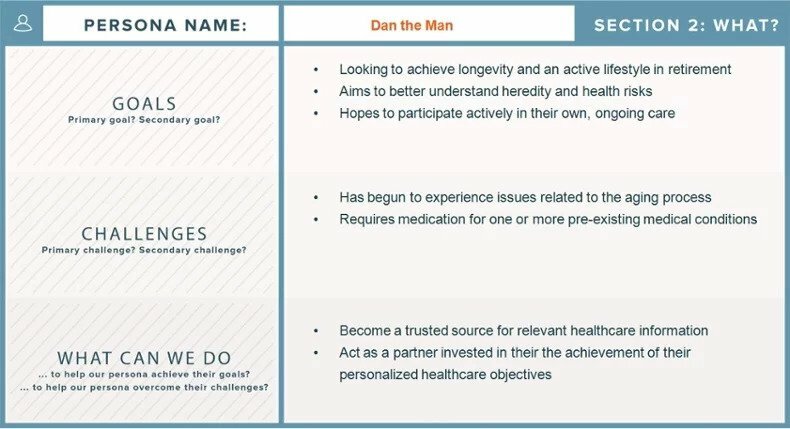 The creation and application of patient personas has become a central theme at healthcare industry conferences, and may very well be an important next step for practices, hospitals, and healthcare organizations looking to increase engagement and make more informed marketing decisions. 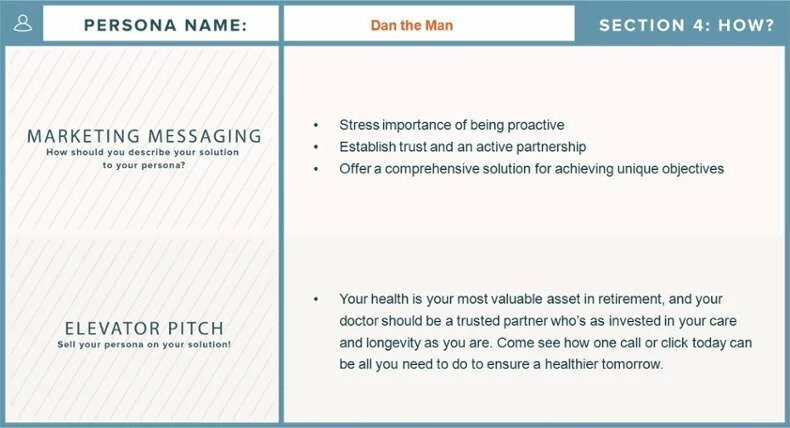 So, starting with a definition, let’s explore not only what patient personas are, but also how to go about developing them—and how effective application can be leveraged to create more favorable marketing results. 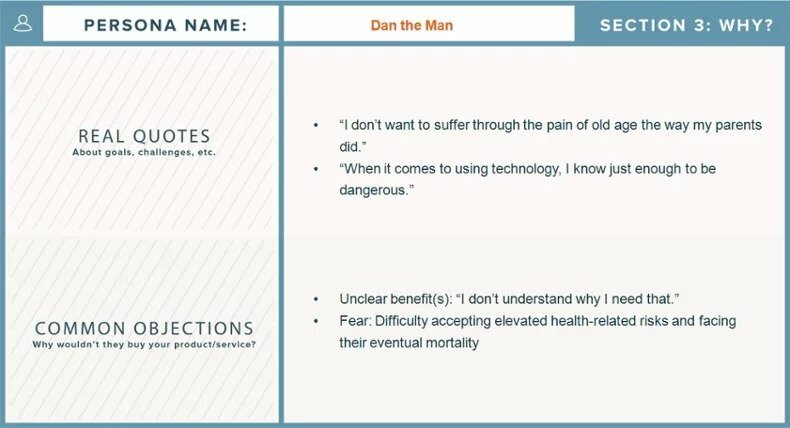 What Are Patient Personas, Anyway? Essentially, patient personas use firsthand feedback and metrics like demographics, consumption patterns and behaviors, pain points, marketing preferences, and patient needs and objectives to characterize in detail the kind(s) of patients whose business you want most. Negative patient personas, in turn, will characterize patients with less appealing or undesirable qualities. Perhaps their treatment requires diagnostic equipment that you don’t have, or the cost of marketing or care surpasses the end value. One-time-only visitors are a good example. 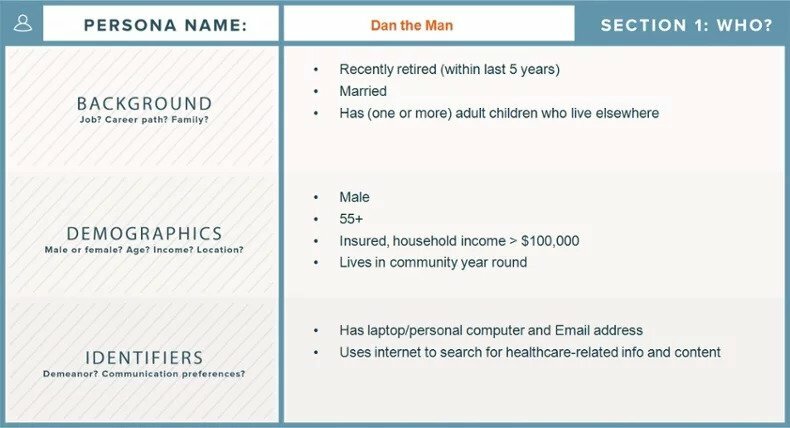 Most healthcare marketers, even those who serve a very specialized niche, are bound to have multiple patient personas, some positive and some negative, which is consistent with how marketers across the broader retail sector are characterizing their audiences as well. Every patient profile, however, is valuable because it helps foster marketing knowledge, promote more informed communication, and identify opportunities to deliver more satisfactory service and a better overall patient experience. Web site forms & interactions: Analyzing data collected from current and prospective patients on your web site can provide excellent insight into what patients are searching for, any challenges they face, and some of what they expect from you. Check out your site’s search history, and ensure that form fields are provided, where applicable, to capture a range of relevant data, such as age and key demographic information, insurance provider, and the conditions for which they are seeking treatment. Surveys: A patient survey distributed either via e-mail, hard copy, or on your web site can help achieve the same objectives, generating valuable patient data and direct responses about how their experience with your organization meets (or doesn’t meet) their expectations. Firsthand interviews: Most patients are eager to share their thoughts and experiences, and will respond honestly during in-person and phone interviews. Ask them what’s important to them when choosing a healthcare provider, and how they go about gathering information and deciding. Beyond just the initial questioning, make it a point to ask “Why?” to gain additional knowledge and understanding of what really makes patients tick. Team Feedback: If applicable, consult your internal marketing team and learn about the personas they feel your organization serves best, as well as those you don’t (or can’t) serve particularly well. Also learn about the objections they face most often from patients, and the unique value item(s) they cite to help overcome those objections and earn new business. Don’t, however, limit your interactions only to current patients and staff. Instead, develop more thoughtful personas by reaching out to prospects who have shared with you their contact information, and to those who have yet to become patients or customers. You can also engage third-party networks including social media sites like Facebook and LinkedIn, or in some cases, use remote user testing and feedback sites to connect with additional, outside respondents and round out your audience sample. Web site and content creation: If your web site search and traffic metrics reflect a high demand for content related to heart health, then you’ll want to continually bolster that subject matter to keep patients and prospects coming back. Marketing segmentation: Develop targeted e-mail or newsletter campaigns for different patient segments based on the subject matter they demand the most, for example, heart health, or injury prevention, diet and exercise tips, cancer screening, and the like. Messaging: Did you notice any words or terminology that were commonly used by a particular persona? If so, try adapting marketing messages to paint their ideal picture, and (re-)focus the way you and your team speak to and interact with each persona by using “buzz terms” that are likely to resonate most with each one. Time and resource allocation: Examine operational procedures like scheduling and follow-up to ensure unique value and a positive patient experience that meet the expressed, individual expectations of each persona. Plus, maintain efficiency in terms of physician and staff hours, equipment usage, and spending on equipment and medical supplies. Media buying: Ensure optimal return on your marketing and promotional investments by making sure proper amounts are being invested in the activities, campaigns, and media outlets that best attract your ideal personas, and you’re not overspending on less-productive media and personas. Training sales team: Share your findings and the candid statements from each persona with your marketing staff or sales team to help prepare them for conversations, and share quotes and information obtained firsthand to help them overcome objections and structure their plans moving forward.